These days, it seems everyone has jokes when it comes to the Los Angeles Lakers, a team seemingly in a perpetual state of roster limbo. On Monday night, a fan brought Miami Heat guard Dwyane Wade in on the fun. Wade’s response was accurate. Another hypothetical team-up with LeBron is funny, especially when you consider how much the Lakers have struggled with their odd group of one-year-contract veterans and young guys. Wade certainly wouldn’t fit what King James and the Lakers front office are trying to build either before the deadline or in the summer. Yet, more importantly, there’s a chance Wade already makes the playoffs this season. The Heat, while hitting a rough patch in recent weeks, still currently sit in the eighth spot in the Eastern Conference. At 24-27, Wade may get one last look at the postseason. It would be a fitting send-off, considering the 37-year-old has missed the playoffs just twice in his career. 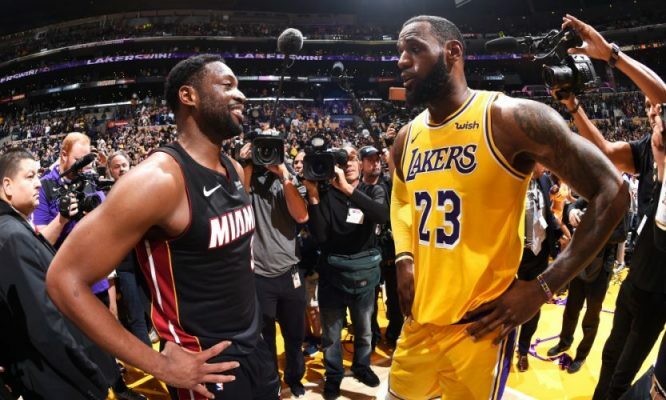 If the Heat can clear up some of their roster issues at the trade deadline and get back the spark they had in December, Wade won’t need to come off the bench for the Lakers to experience one last playoff run. 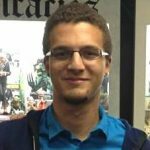 Tyler is a freelance writer and digital marketing manager from Indianapolis, Indiana. After getting his start at a sports betting website, he has gone on to cover multiple professional sports, men's style, and entertainment. He is extremely excited to be a part of the Heat Nation team.